(Newser) – At an apparent turning point in one of its hardest foreign policy challenges, the Trump administration is demanding a ceasefire and the launch of UN-led political talks to end the Saudi-Iran proxy war in Yemen. Defense Secretary Jim Mattis called for a halt to hostilities within 30 days. The renewed diplomatic drive reflects a convergence of political pressures: international outrage over the slaying of a US-based Saudi journalist and a Yemeni humanitarian crisis fueled by the dual threats of war and hunger in the Arab world's poorest country, the AP reports. 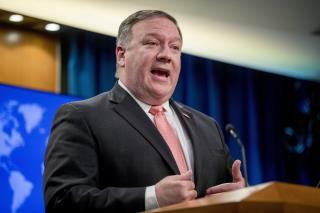 "The time is now for a cessation of hostilities," Secretary of State Mike Pompeo said in a statement late Tuesday. The conflict, which began in 2014, has killed around 10,000 people and left more than 8 million at risk of starvation. So in other words, the US gov't feels we've made enough money on weapons sales there now? That is up to Obama's well funded terrorist friends Iran.